A unique and magic vegetable garden behind prison walls. 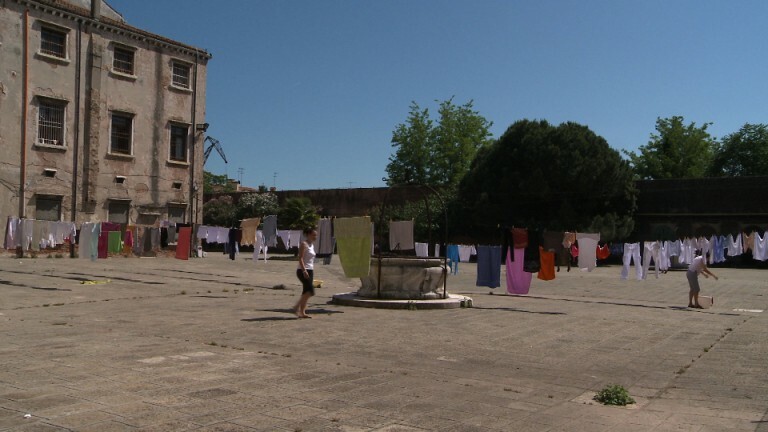 Incarcerated women working in a garden by the lagoon in Venice. This is a story of women, herbs and vegetables. The women's prison on Giudecca, one of the islands south of Venice, has an unexpected feature: a large fruit and vegetable garden. There are no surveillance cameras here, no wardens. Only six female prisoners at work; planting, pruning, watering to the sounds coming from the lagoon and the rhythm of their own singing. To the chosen few admitted to this section, this small patch of land represents a concrete link to the outside world. With honesty, they reflect on their story and tell us of their hopes for afterwards. Le Jardin des Merveilles is not a film in praise of the redemptive virtues of incarceration, far from it. It is a human encounter, a beautiful portrait of a group of women who hang in there thanks to a turnip or a cherry.